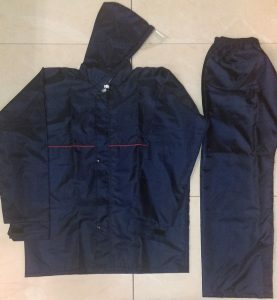 With our skilled labourers and extensive market knowledge, we would like to be recognized as a good quality and best after sales service providing Promotional Rain coat manufacturing company, and later as one of the finest Promotional Raincoat Manufacturer in Mumbai as well as India. Corporate companies, be that an SME or an MNC, they are always in need of attractive and durable products for product promotion, or marketing or sales related activity. Promotional Raincoats are chosen by companies who do not have budget issues and always seek for quality product. As the word says, promotional jackets are exclusively made by client requirements, with their desired fabric type and fabric colour. 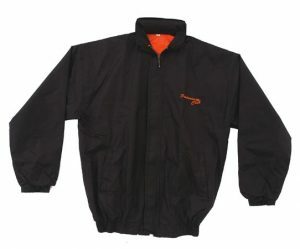 Promotional Raincoat is one such product which is meant to meet the requirement of corporate companies. Branding on the jacket is easily being for Promotional Jackets. 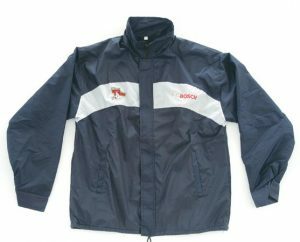 Promotional Raincoats are available different styles and different patterns with various fabric options and more than 20 options in colour. Customized Jackets are available L, XK, XXL size.